Thoughts on motherhood, friendship and all the other issues swirling through our brains. 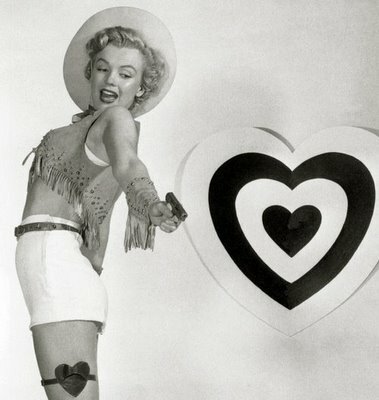 Oh Valentines day...you are so cute and oh so naughty! While it's a day to remind us to show the love to the ones we love. It's also a day that causes insane pressure to figure out how to show that love. Restaurants are packed and they force expensive prix fixed menus on you to be sure they can churn their customers in and out quickly for the next seating. The price of roses climbs 200%...OH P.S. GUYS?? WE. DO. NOT. WANT. ROSES. ooops was that out loud?? And silly heart jewelry is forced on to your neck. Here are a few of our faves from around the web..
How insanely cute are these Leafcutter Designs "Tiny" letters. You can literally have any message put on them and they come in a teeny box with teeny postage and a magnifying glass... GET OUT! Nothing is better than an amazing and creative handmade (and not cheesy) gift. You are absolutely going to tap into your inner Martha S. when you see this next V day "gift"
And if you just HAVE to get a gift...we absolutely LOVE these Reiko Kaneko mugs. Ahhheemmm, could use a few around here if you know what I mean. Or make someone you love cute cookies! I mean what would you rather have ; home made deliciousness or store bought boxed candy? Celebrating the V day with your girls? Nothing says I love you and your heart like a beautiful floral crown. Maybe instead of stressing about "the perfect V day" we should all try to show love everyday and make the 14th the day you just add an extra shake of glitter. And love yourself every day!